The only car seat with adjustable side impact protection, for unmatched safety as your child grows. Spills happen, so the premium covers are machine-washable and dryer safe. Once your baby enters the world, the ultimate adventure begins�parenthood. And as you�re ready to embark on this incredible journey, it�s always nice to plan ahead. 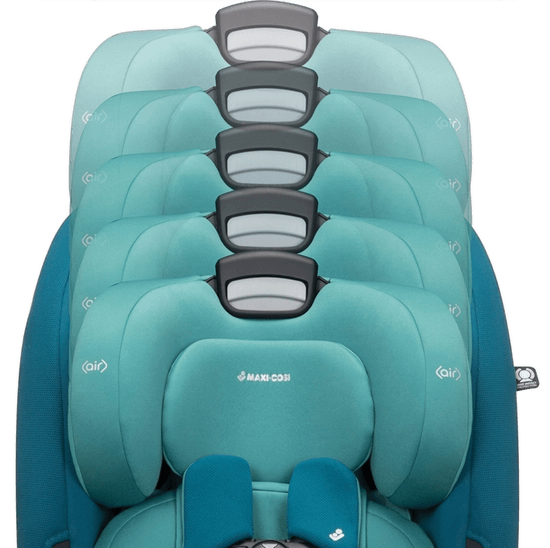 Introducing the Magellan� 5-in-1 car seat that�s ready for 10 years of fun family adventures. It�s amazing how quickly your child changes and grows from year to year. The Magellan� 5-in-1 car seat is the only premium convertible car seat that fits your child from birth to 10 years. Designed to be the only car seat you�ll ever need for children weighing 5 to 120 pounds, it allows for the widest range of adaptability with its 7-position recline, 3 adjustable torso height positions and 14 headrest heights that automatically raises the harness to fit your growing child. Plus, converting to each new stage is simple and intuitive, so you don�t have to spend too much time making car seat adjustments. Drive with confidence knowing that the Magellan car seat is backed by over 30 years of European engineering and exceeds all federal standards, including FMVSS 213. 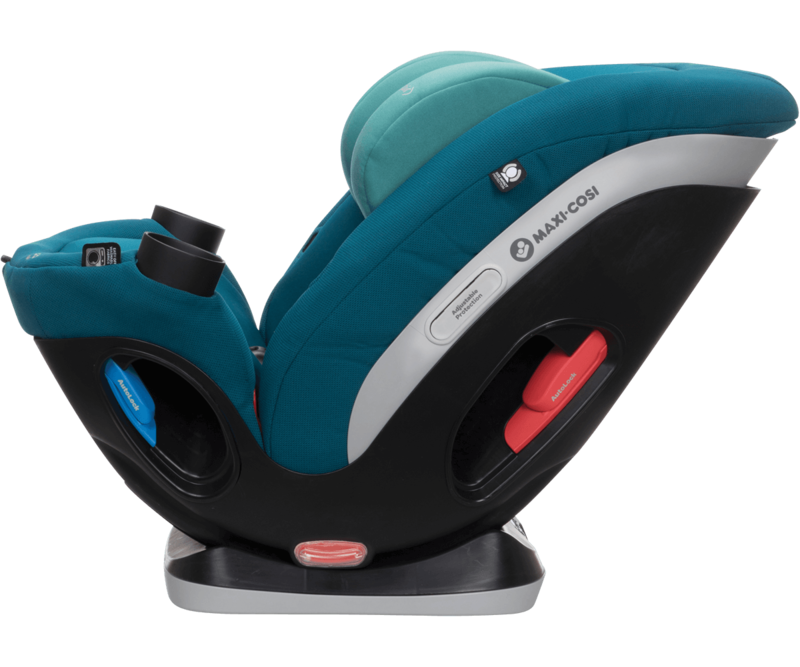 Our patented Air Protect� is built into the headrest to cushion the impact, and equally important, it also provides a soft pillow of comfort for your child�s everyday journey. Children grow at different rates so it�s important to have the flexibility to customize your car seat to ensure that you keep safety where you need it, when you need it. For the first time you have the ability to adjust the torso up or down to maximize side impact protection. For every new journey, the Magellan has been designed with the utmost luxury and comfort in mind. Starting with the soft to the touch, easy to remove infant pillow system. The car seat features self-wicking fabrics to keep your little one dry and comfortable in those hot summer months, while warm and cozy the rest of the year. The fabrics have been tailored to fit but in case of those unwanted messes, they�re machine washable and dryer safe. With a car seat that grows with your baby until their 10 years old, just think of all the wonderful memories you�ll have from all of your family outings. 5-in-1 seating system for children from 5 � 120 lbs. I wanted to love this but I have no idea how the reviews are so good. It is such a huge hassle to get your child in and out of the car seat every single time! The harness is impossible to tighten fully. I read a response from maxi Cosi on a similar Review Where they gave the reviewer complicated multi step instructions on how to tighten the harness easier and it is such a JOKE. What parent wants to be struggling attaching and reattaching things to the harness EVERY TIME they put their child in and car!? Especially when you have to deal with it for YEARS. Plus the metal clip is ridiculously hard the unclip when taking baby out of the seat. Im going to return it. But honestly this product is a total joke, And has caused me nothing but stress and wasted time. Thank for nothing maxi-Cosi. Difficult to secure seat and tighten harness strap! 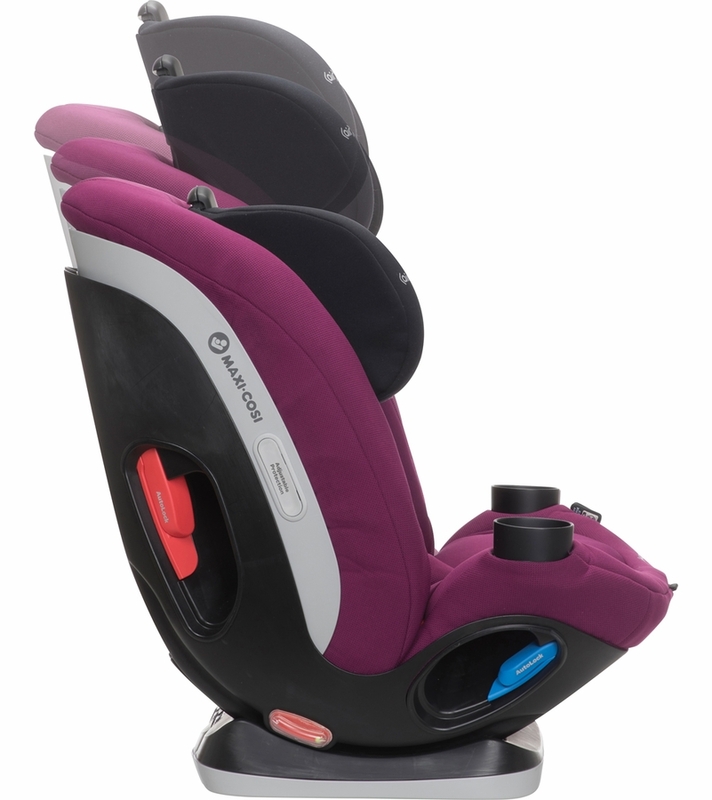 This is a 90-day review of the Magellan Max 5-in-1 seat, and it is unfortunately not as easy to install - especially in rear-facing mode - the seat or strap down a child as the Britax Advocate click-tight with an anti-rebound bar. The biggest problems with this seat have been encountered when swapping it into different cars. It's almost always crooked and leans to one side after tightening, and to make matters worse, the seat is not very rigid (slides around with a lot of slop). The tightening of the straps are nearly impossible and requires a very strong person to pull it. Even after pulling it tight, there is a gap between the child's chest and the straps that is at least 3/4". This makes me feel very uneasy! The red release button on the strap is also unnecessarily difficult to push. I thought both the strap and button would be worn in after 4 months and get easier to use over time, but now I'm regretting trading the Britax Advocate with the anti-rebound bar for this unit. I am not very happy with the design of the aforementioned problems. I recently purchased this seat as a gift and it is great. It seems to be very well made and is simple to adjust as your child grows. Also the colors are fantastic! 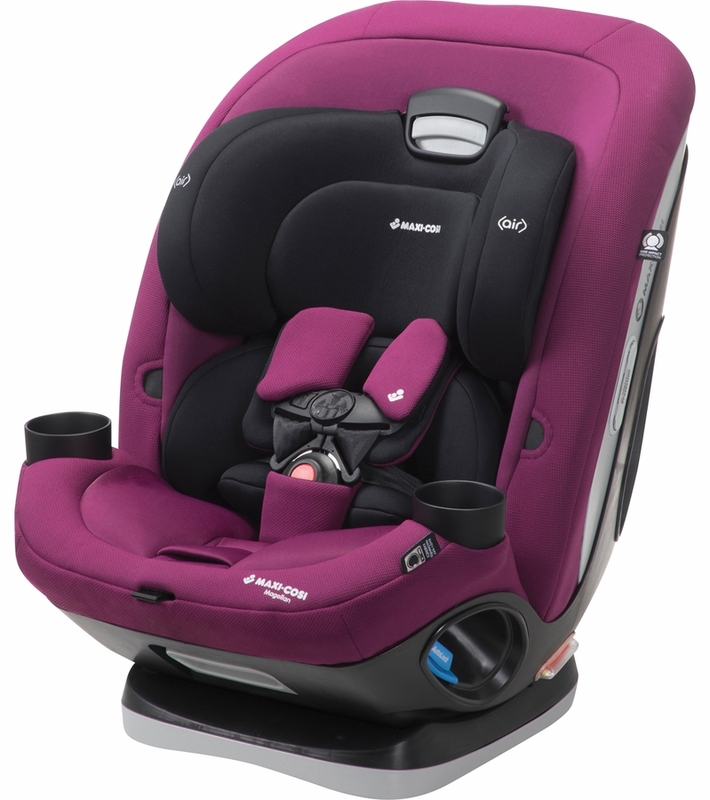 ConsIt is a pretty large and bulky car seat as compared to others on the market. The straps are very difficult to tighten and loosen on this model. We tried several methods- even taking it to the fire department. It would not work. I also had to buy a gadget to unlock the straps. I tried customer support, but they didn't follow up. I would never recommend this seat. Difficult getting child in and out. I had to purchase a device to unlock the straps. Also, the magnetic clip usually takes several attempts Tightening the straps takes a lot of strength and often will not tighten enough. I am so in love with this car seat!! As soon as i saw this car seat i could tell how safe my son would be in it! He is very comfortable or in the seat and falls asleep almost immediately when he gets in it. Their is so much protection around him, i know he is safe when we are driving in the car. Best part is this seat will be able to grow with him for a long time and i never have to worry about his safety in this seat. I like it because it is very comfortable and easy to clean. The fabric is machine washable.i can adjust the height positions. The cup holders are good.seat is super comfy. this car seat will last from birth to 10 years child so it is a great investment for a good quality. looking forward to keep seeing a happy baby while we are going on short or long drive. i would recommend it other then that for safety . First, difficult and annoying to install in rear facing mode. 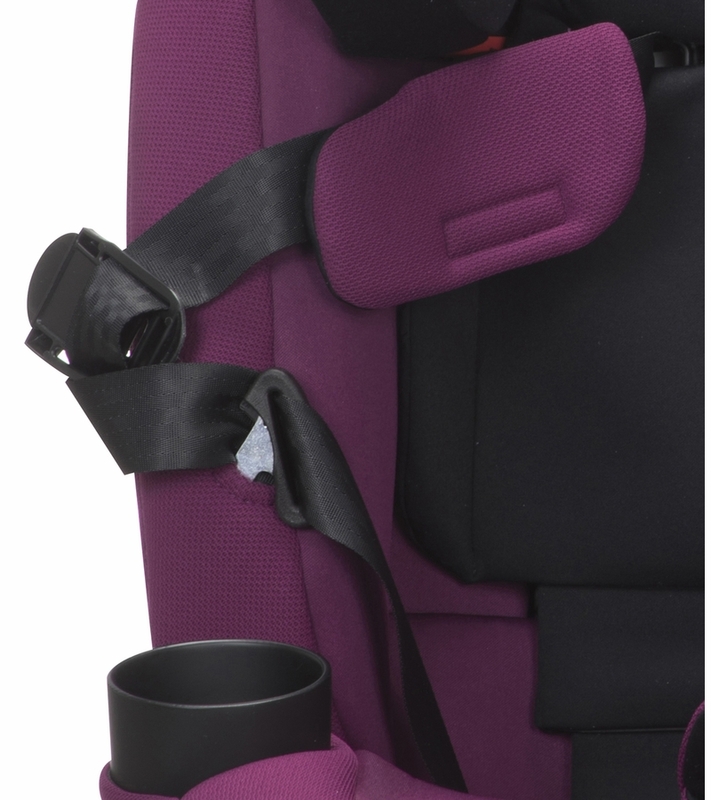 The automatic straps prevent the child from being secured properly. The height adjustment mechanism is not smooth. The ability to tighten the child into the car seat is extremely hard and will not fully tighten. This is an amazing car seat! I was giving this by MyTake to test out for my 7 month old. I am completely in love with this car seat. My child is beyond secure in this seat and the comfort that is displayed when she falls asleep immediately is amazing. I am also extremely excited that i do not have to continue buying new seats as she grows. The fact that this seat will accommodate her at all ages is another plus. I have already bragged about this to other new moms as well as expecting moms. I honestly can't say enough about this seat. Very easy to set up and a breeze to keep clean. The installation process was very easy and within 5 minutes my little guy was riding in style. The removable cup holders are a really nice touch making the system a breeze to keep clean. Any parent knows how much can accumulate in those cup holders and a simple quarter turn released them for a quick wash. Fitting the seat to my child only took about 2 minutes with the head rest and seat belt adjustment points being easily accessible. This seat is also extremely comfortable and there have been no complaints on the few long summer road trips we have taken. 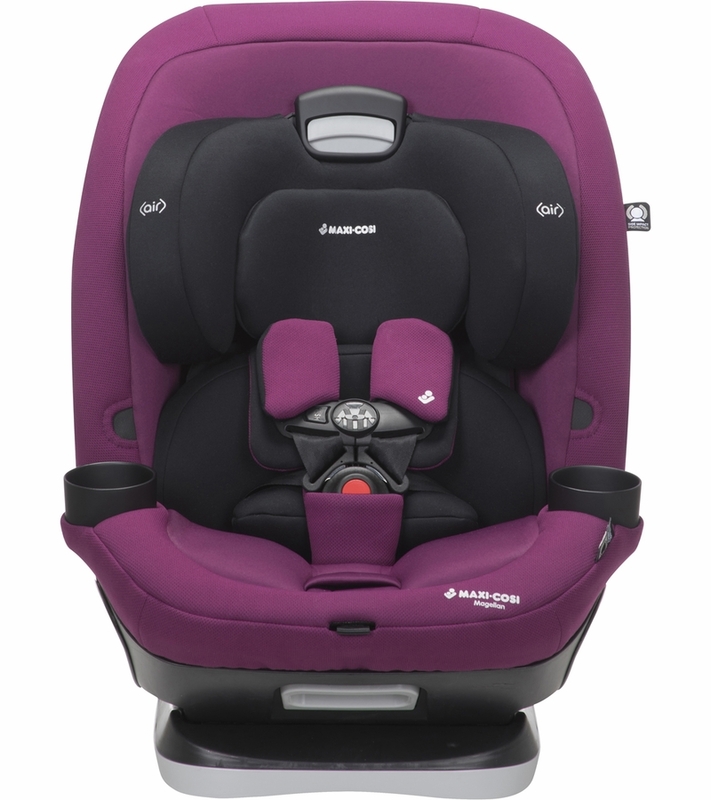 I would recommend the Magellan 5 in 1 to anyone looking for a very high quality car seat! 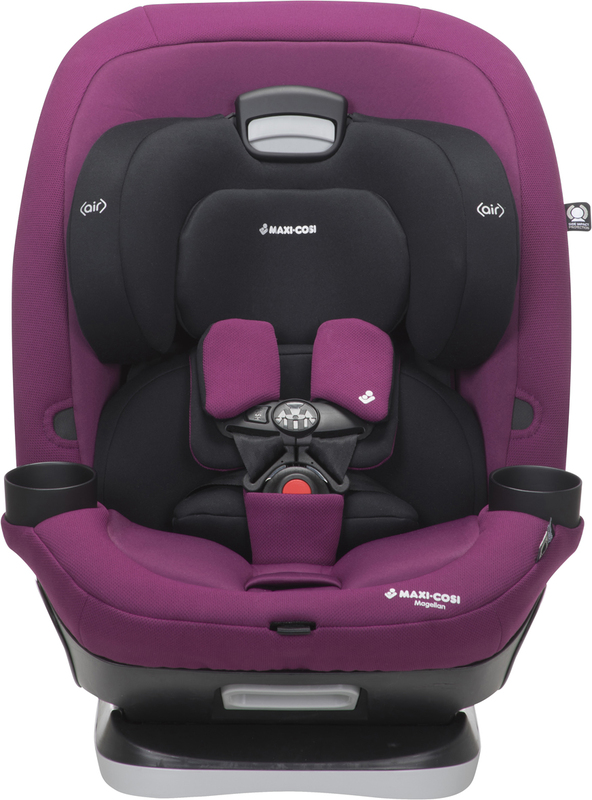 I received the Maxi-Cosi Magellan car seat from My-Take as a product test. I like it because it is very comfortable and easy to clean. The fabric is machine washable.I like that you can adjust the height positions. The cup holders are a nice bonus. We drove to Florida from Houston and my kid was happy and sleepy which is indication that he was super comfy in it. Plus point is that this car seat will last from birth to 10 years child so it is a great investment for a good quality. looking forward to keep seeing a happy baby while we are going on short or long drive. only thing you have to consider that it is not light weight and need a space as it is big. i would recommend it other then that for safety . Love the plush material ans safety of the seat! I've primarily owned Britax and Chicco and now bought the Magellan. I love the upgraded material, comfort and safety that I get with this product. I'm so happy that I don't have to deal with researching, buying and storing a new seat every few years! i Love this car seat and how comfortable and safe it is. I absolutely love this product. I am currently using it in the rear facing position. The seat clicked into place very easily and I am able to have the seat recline or sit upward depending on how I was my toddler to sit. If it is going to be a long car ride I can recline her back which is a fantastic option. I love the two cup holders which allow a snack and a drink. The car seat is very easy to clean and both cup holders are dishwasher safe. The car seat fabric pops on and off with ease allowing me to wash it more frequently than any other car seat I have had. I am very excited to watch my little girl grow in this seat. I feel safe with her in this seat because of the air cushions allowing for optimal impact cushioning. I love the seat and she loves the seat!!! Although all car-seats are a pain to install. This one is no more difficult than other models. It is great because my son seems to find it super comfy and it provides him with the obvious safety he needs in a car. After using the Magellan for a few months, it has been my favorite of the 6 carseats I have purchased over the years. It's relatively easy to install (just make sure you read the directions even if you think you know what you are doing) and feels very safe and secure, which to me is the most important factor. I really like the strap holders to keep the shoulder straps out of the way while putting baby in. I just put this car seat through the ultimate test - a family road trip. We traveled almost 2,000 miles and my child did not fuss at all. He was happy the entire time and never complained about comfort. Also, it is easy to install and use. The best part is that I will not have to buy another one because it will grow with my child. I am so in love with this car seat. My child feel more comfortable. It was easy to install and adjust. I liked how the head rest was adjustable and the cushions surrounding the whole car seat are soft. my child really enjoys. i will definitely recommend this product. I received the Maxi-Cosi Magellan car seat from My-Take as a product test from the company. 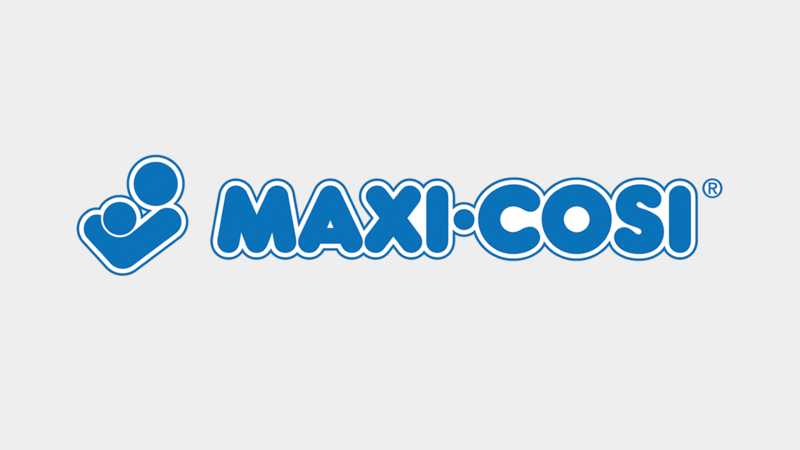 I was very excited as Maxi-Cosi has great product and rating when it comes to safety and comfort. This car seat was easy to install and my child seems happy in it. we went on vacation to Disney world and we drove all the way from Houston to Florida. MY kid was happy and slept most of the time in the seat because of the comfort and position.I like the color and quality of fabric. it is easy to clean. It has the flexibility to customize your car seat to ensure that you keep safety where you need it. remove able cup which are dishwasher safe.You can remove and wash the fabric of car seat too which is very nice. I would highly recommend it as a parent of kids as it saves you alot of money and gives you peace of mind as this car will is designed from newborn to 12 years of age. I am very thankful to My-Take making this journey easy for my kid and me. I absolutely love this car seat. It was super easy to install and I love the reclining feature! When it comes to car seats, i find it so hard to clean them. However, this car seat is so easy to clean! You just take the fabric piece off and put it in the wash. 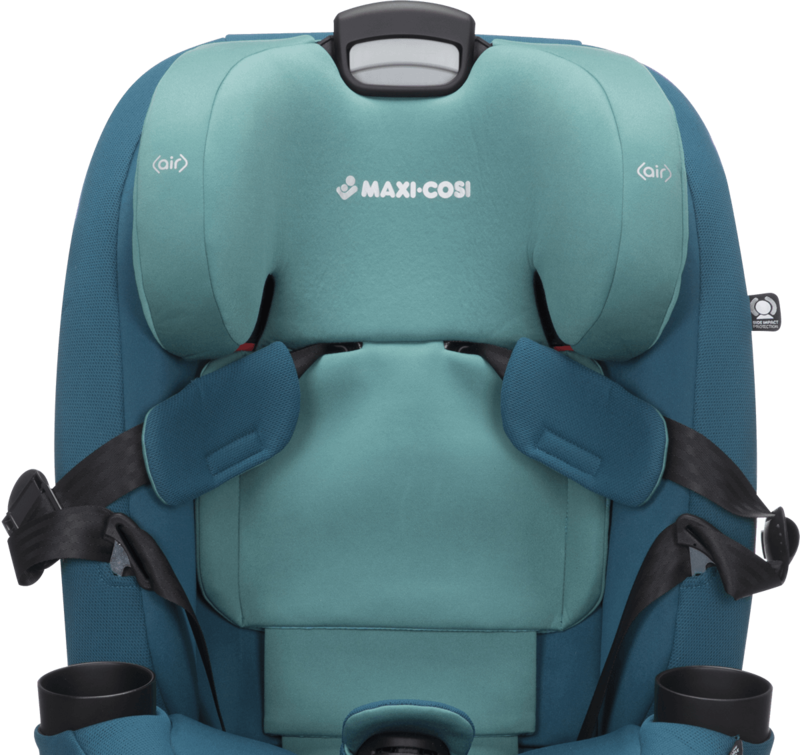 I also like the fact that it is so light weight with the safety promise of maxi-cosi! I highly recommend this car seat to anyone who is looking for a quality product with excellent safety features.... and best of all, a car seat to last from infancy to childhood! 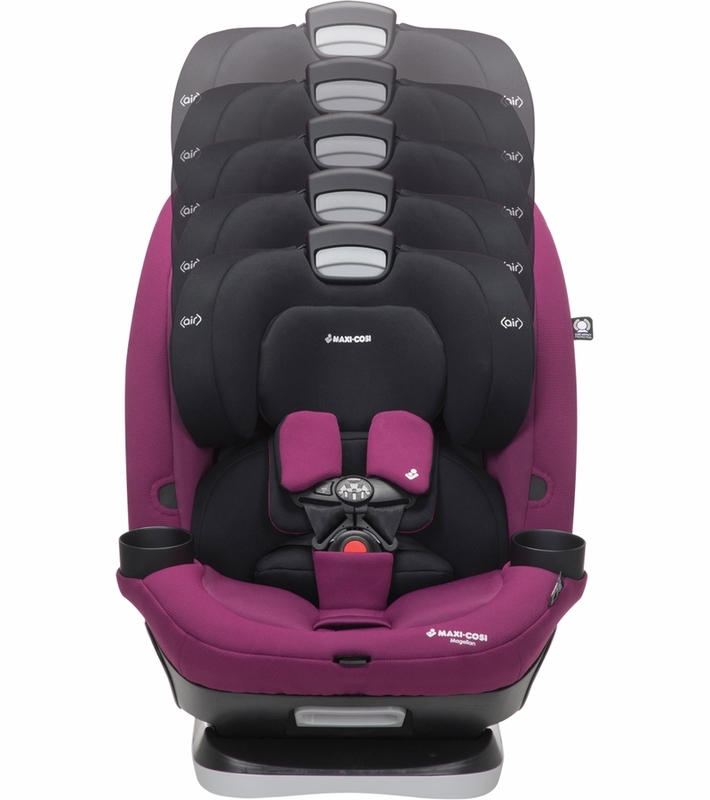 I was lucky and was chosen to help test the new Maxi Cosi 5-in-1 convertible carseat. When the product arrived, I was impressed, it had very good padding especially by the head(side impact), my previous carseat was close to not having one, but this one, the side impact padding by the sides of the head was so sturdy and thick. After using this, I noticed my son doesn't cry while in the car and he seemed to nap longer as well. The carseat is sturdy, had aqeduate padding all over the seat and comes with 2 extra pillows and 2 cupholders. I would highly recommend this product, it is wonderful. This is definitely my baby's forever carseat until he stops using a booster seat. I am so happy upon using this carseat for 2 weeks. I love the design, the weight, durability and especially the magnetic chest clip. Easy to snap the baby, has padded straps and very sturdy harness. My baby sleeps good in it because it reclines and has very comfy and soft padding, I am very satisfied. Thank you. I received a Magellan 5-in-1 Convertible Car Seat to try with my child and am so happy that I got the chance to try it. Not only will it grown with my son but it is easy to use and fits in both of our vehicles easily. I love the detachable cup holders that have come in handy for not only drinks but snacks on our many day trips we have taken this summer. My kids were able to take naps and sleep much more comfortably than they have in other car seats we have used in the past. This is a must have for any new parent because it is good from birth to age 10. One car seat will last your little one for years! I received the Maxi-Cosi Magellan car seat from My-Take as a product test from the company. The timing was actually perfect since we were leaving for a week-long vacation one day after the car seat arrived. My 2.5 year old was able to test out the car seat right away on our 5 hour road trip. My first impressions were that the seat seemed like a high quality product, very solid and sturdy, and the extra padding found throughout the seat would make it comfortable. In fact, my toddler seemed quite comfortable sitting in the seat even for hours at a time and he was able to nap comfortably in it as well. I really liked that the extra headrest positioning prevented his head from leaning over so far to the left or right during his naps. I like the extra padding on the seat belt to prevent the straps from digging into my toddler but found it a little difficult to use the adjustment button to loosen the straps since it is hidden and the positioning makes it a little awkward at times. I also did not like the fact that the latch system was only good for rear facing. Using the seat belt to secure the seat takes longer, and I believe that there are more chances to do it incorrectly. With the latch system, installation and removal is quicker, and I'm more confident that it's been installed properly. It is nice that the two cup holders are detachable, but we had one come out unintentionally when we were taking our son out of the seat. We didn't realize it until we went to put him back in the seat, and unfortunately, it got run over. The cup holders are tall and a little on the small side. They'll accommodate a bottle or a thin sippy cup, but they do not fit a lot of the newer style of sippy cups. However, I think it is a great car seat overall and even though it is a little pricey, the fact that this car seat can be an all-in-one and last for the duration of the time my toddler will be in a car seat, booster, etc., I think that makes it well worth the investment! I received this carseat for the my take campaign. So far I am so in love with this carseat. My son seems to have more room than his last carseat and he also seems more comfortable. It was easy to install and adjust. It's big but doesn't seem to take up too much room in my car. 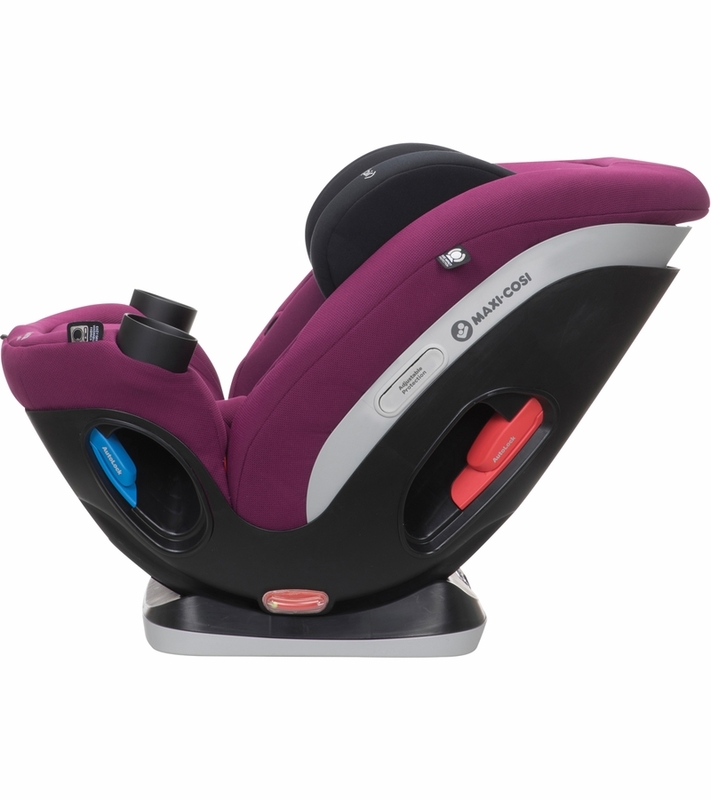 I liked how the head rest was adjustable and the cushions surrounding the whole carseat are soft. My son is 5 and he really enjoys how it nakes him a little higher in the car.The cons: I like how the cup holders are stretchy but still wish they were a tad wider. Also, the strap sometimes gets twisted while buckling so I have to correct it before I buckle & it does take up some of my time. 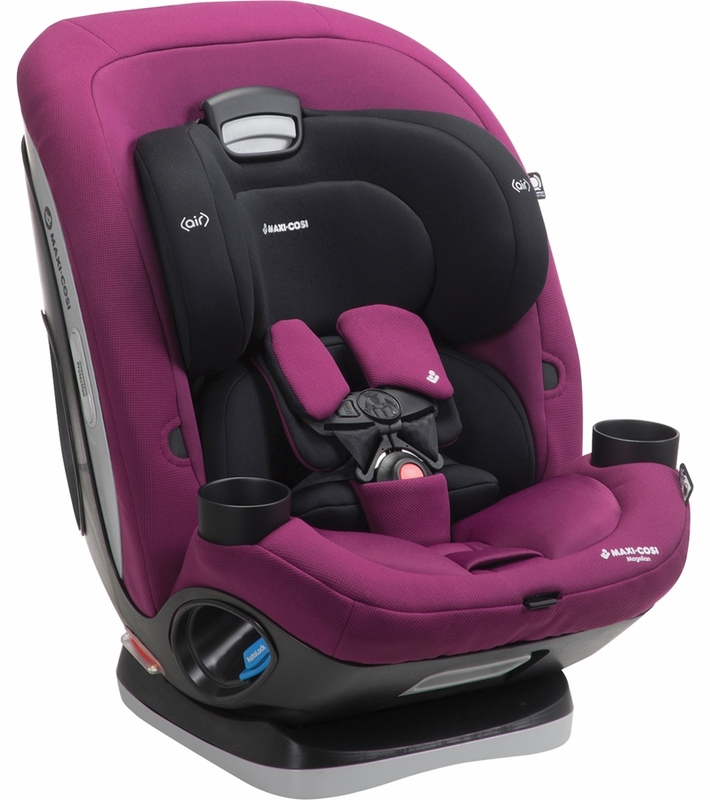 Overall I really like this carseat and I think it covers all the wants us parents look for. Best car seat I've ever had! First off, I wish I could sit in a car seat this comfortable, my kid just falls asleep immediately, never fusses when I put her in. (a rarity!) I love how safe it looks and is - like a tank really- I'm so happy ive found a safe, comfortable and easy to install seat and the fact that she will be able to grow in the seat for 10 years ... means so much! Easy to use and maintain, sleek look, seems comfortable for kiddo. Would definitely recommend! This is a car seat that grows with the child and made with the family in mind. It has many adjustable features that makes it great for a newborn, toddler or older child to use. Love that you can hide the straps when in booster mode so that you don't lose them if you need to switch it back to infant mode. This is a great product that is easy to clean and dry! Definitely recommended. I love all of the color choices and the 12 year expiration is a definite game changer! Never buy another car seat again! Amazing quality with a 12 year life span, means you will never have to buy another car seat again! Parenting win!!! Love the design of this seat and how comfortable It is. Amazing that it can be washed easily! I love how durable the car seat is without comprising safety. The install is a breeze and both kids can fit in the seat wirh room left over if we need to pick someone up! Great car seat for the price! Super easy to use, and beautiful to look at! I love the simplicity to the seat. No need to wonder what goes where or struggle to make things fit correctly. It does all the hard work for you! Looks beautiful and easy to install. Love how comfy and cozy it looks. Looks easy to install and very safe. I love how the entire seat cover is machine washable and the cupholders can also be removed for washing. The torso adjustment feature is very unique and all should help provide a comfy fit for kids of all ages. The labeling on the seat is color coded and very clear! The pictures on the side will really help caregivers install properly. Easy to use and comfortable... great seat! We love this car seat and all of its features. I especially love how easily it can be adjusted to grow with your baby. The easy clean fabric is also super convenient for all of lives messes. I am thrilled with the 12 year expiration - you can really get your moneys worth out of this seat. These car seats are amazing. Love the color choices, the fabric look and feel, and the easy way to install and use, this wil surely be husband approved!! Easy to use and comfy! Great video and product ! I love the safety features!! The magnetic chest clip on the seat will make things much easier for sure. The way that the seat can be switched from position the position by the scale on the bottom of the seat makes me feel so safe. Looks comfy and super soft! There are so many features with this car seat that you don't see anywhere else. For example the magnetic chest clip, the shoulder pads that help you put the chest clip at the correct place, and the adjustable back support! I wish this seat was available when my oldest was born! I love the option of adjusting the shell to fit my sons better. I have 3 boys (9,6,2) and they are all on the smaller side. This seat would fit them perfectly! And what's even better is that if I use this with my 6 year old he will be able to comfortably fit in this seat well before it expires and I would even be able to pass it along to the 2 year old! This seat checks off everything I would need and want in a car seat. Great car seat we with easy adjustments and washable fabric. The only carseat you will ever need!! If you want a one and done car seat, this it IT! The fabric care couldn't be easier. Machine washable and dryable is such a great feature. The install is simple. The labeling is clear. The color choices are fun! It's easy to install and adjust. And it's great for cars that don't have a lot of front to back space. This are a great seat for your baby registry! No need to buy another car seat.. EVER! I love that this car seat not only has an adjustable headrest, but also an adjustable for torso area! My daughter is very long and this car seat will allow us to comfortably and safely rear face for many years! This car seat is so versatile. It's all that you need! I love how easy this seat is to install and how comfy it is. We drive over an hour to my parents house at least once a month so I appreciate the comfortable padding.